I hope everyone had happy and healthy holidays! 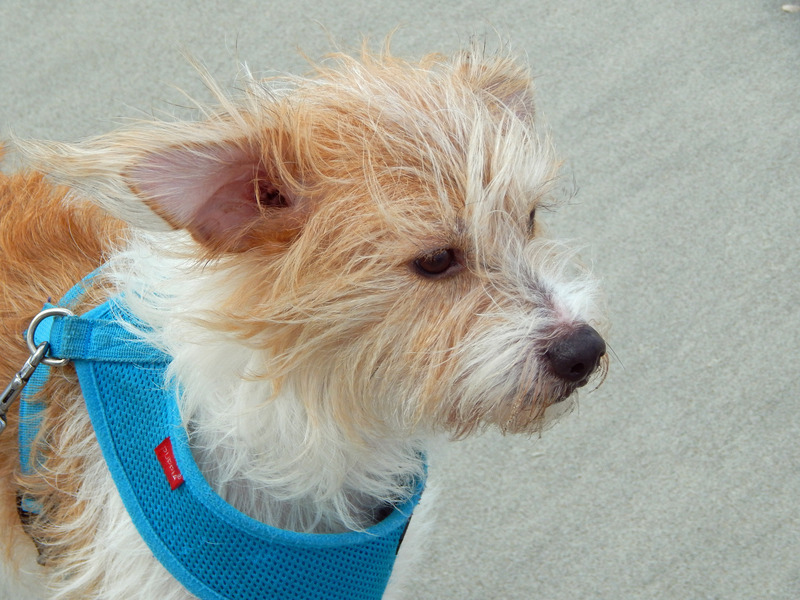 I apologize to everyone – I’ve neglected my blog for awhile. 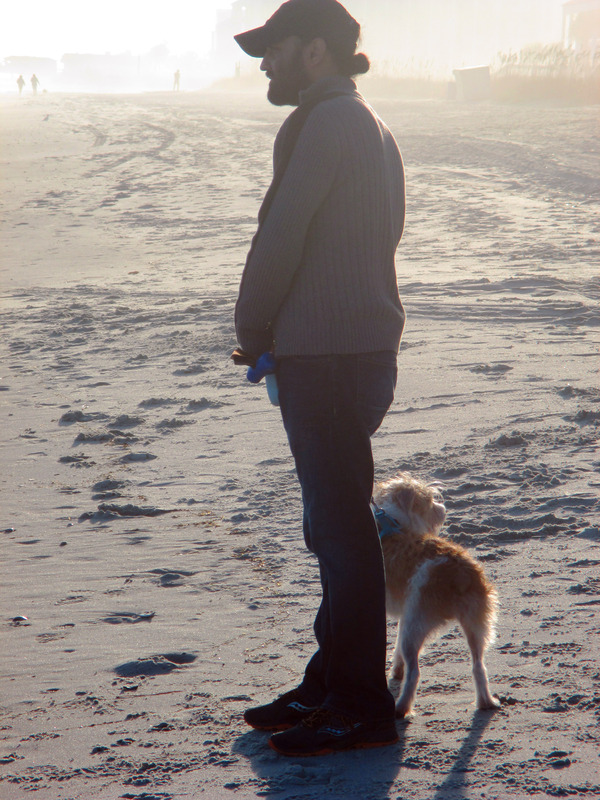 It’s been a very busy time of year – plus I took a much needed vacation to Myrtle Beach, SC. I’ll answer both of those questions! First things first, why on earth did I go to Myrtle Beach in December? 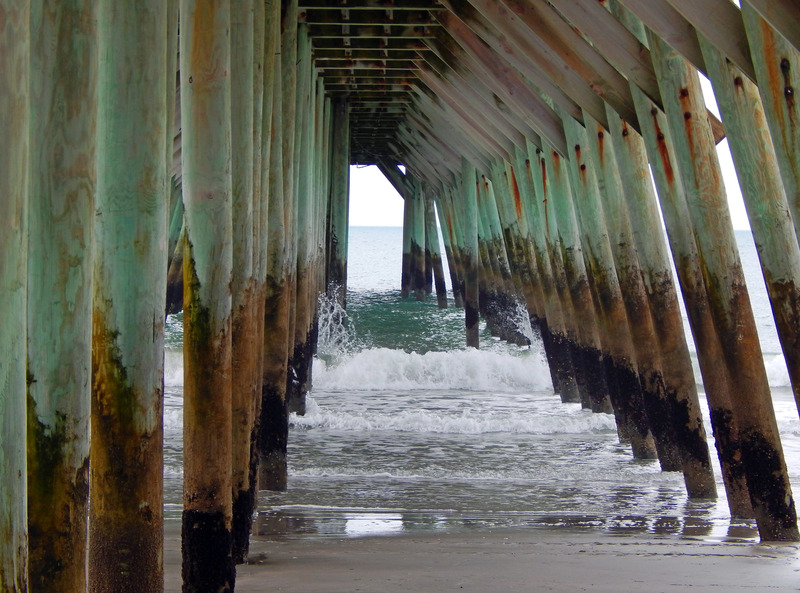 Myrtle Beach is a short trip from Charlotte – about 4 hours and one tank of gas. Take some back roads, and it’s also an overall pleasant drive. Myrtle Beach hotel rooms are seriously cheap in the winter. An ocean-front (not an ocean-view, but an ocean-front) hotel room at an upscale hotel could easily cost $250 per night in the summer. In the winter, you can score that same room for $50. 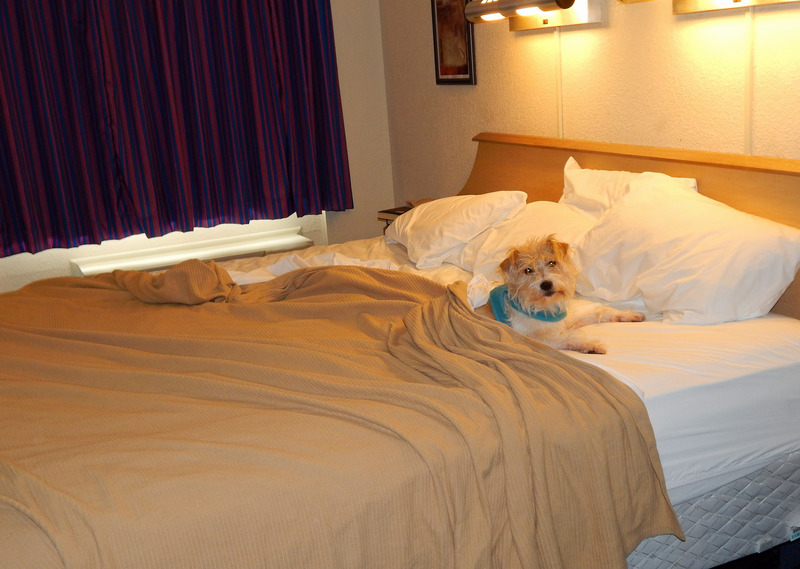 We stayed at the Red Roof Inn (2801 South Kings Highway) because it’s pet friendly. Not only is one small pet allowed with no deposit or extra charge, but everyone – from the hotel check-in clerk to the housekeepers – appeared to really like dogs. It’s also conveniently located and a short, 2-block walk to the beach. Highly recommend if you have pets. 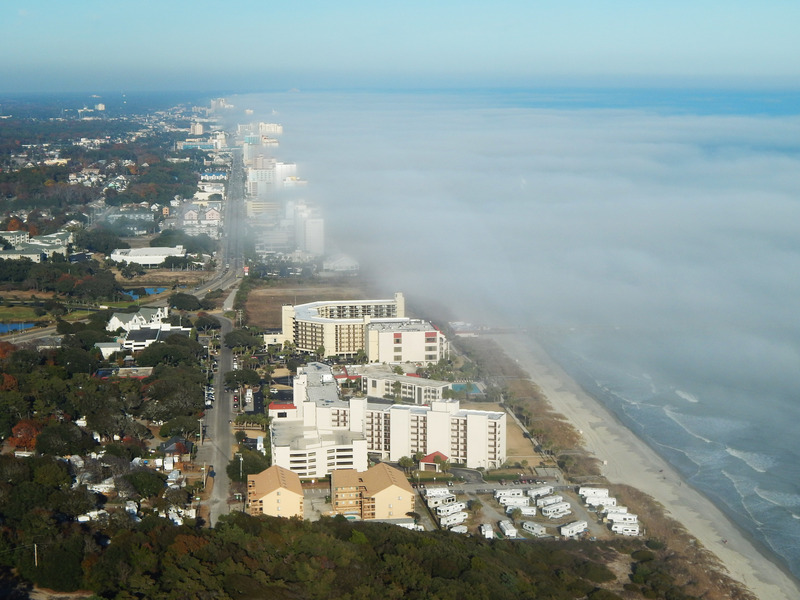 Myrtle Beach weather is still pleasant this time of year – a few degrees warmer than Charlotte. I wore a Columbia fleece layered over a T-shirt, and that got me through the days. There’s still plenty to do. Smaller shops and a few attractions (such as the amusement park) are closed, and yes, it’s a bit chilly for swimming or sunbathing. (I did see lots of surfers, though.) But there’s still the ocean, state parks, golf, destination shopping, a wax museum, the Ripley attractions (museum, mirror maze, aquarium, 5D theatre where real snow is actually blown on you by a snow machine while you are watching the movie), and tons of shows. Frugal tip: We stopped at a Welcome Center and were offered free tickets to our choice of shows, as well as $50 to spend if we attended a timeshare meeting. We didn’t participate because we had other things planned for our time. Plus the shows skewed toward the retirement crowd – Grand Ole Opry Christmas Show, Jersey Nights featuring the music of Frankie Valli and the Four Seasons. Even Legends dropped their lineup of current stars to reach into the vault for a Christmas show with the Rat Pack (yeah, I didn’t know who they were, either) and Marilyn Monroe. Still, this could be a good deal for some – as long as you don’t buy the timeshare! Whatever you decide to do, crowds are small, lines are short, and parking is plentiful. And free. Yes, you can ignore all those pesky little parking meters in the winter! Also, many activities are discounted during the winter. Check the Welcome Centers and the lobby of your hotel for coupon books. There are also many unadvertised specials – such as for helicopter rides. Today omnivores, vegetarians, and reducetarians have lots of choices. Vegans? Eh, not so much. Still, there are a few. In my next post I’ll tell you about a place every vegan should have on their Myrtle Beach bucket list. And in the next, I’ll tell you about the other vegan options I discovered. you could have rented my condo & cooked vegan.lol…i made a vegan pumpkin pie ,but i live here. Good to know. I’ll check it out next time. Eating at the beach is certainly a different experience than when I was an omnivore! yes it is..many years ago when my parents and i came every year from greenville we ate seafood every night in murrel’s inlet. 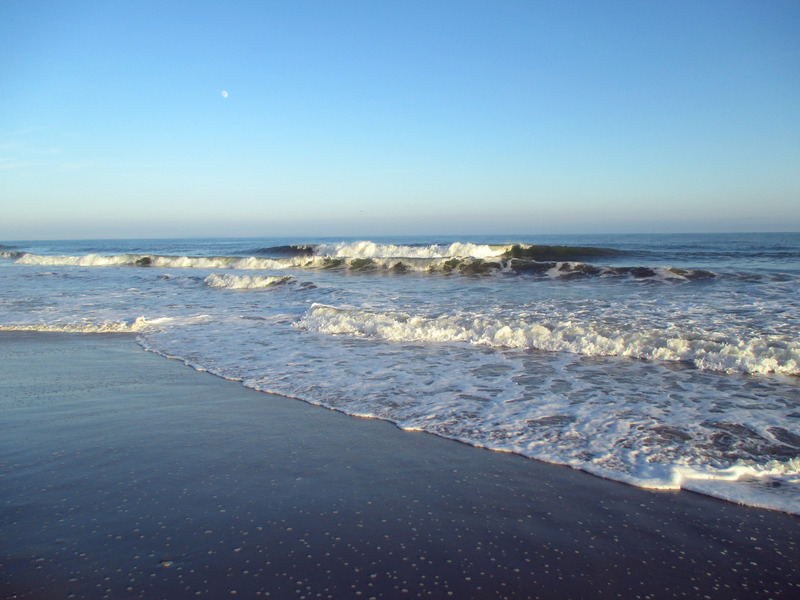 Every one knows that the best time to go to Myrtle Beach is during the winter months. I went in February one year right after there was a snow / ice storm. It was fabuluous. What year was this? My mom and I also went in February,many years ago, DURING an ice/snow storm! The back roads were slippery and scary but we were determined to get there! Not sure of the year. It was when I was living back in the hometown (Shelby) and before I had moved back over to Charlotte, so probably around 2003. I was going with a tour from Christian Tours and remember calling to see if the tour was still on. Getting from Shelby to Maiden (location of Christian Tours) on still icy roads before sunrise was a bit scary to say the least. Once I got on the bus for the actual trip down to the beach, I was fine. 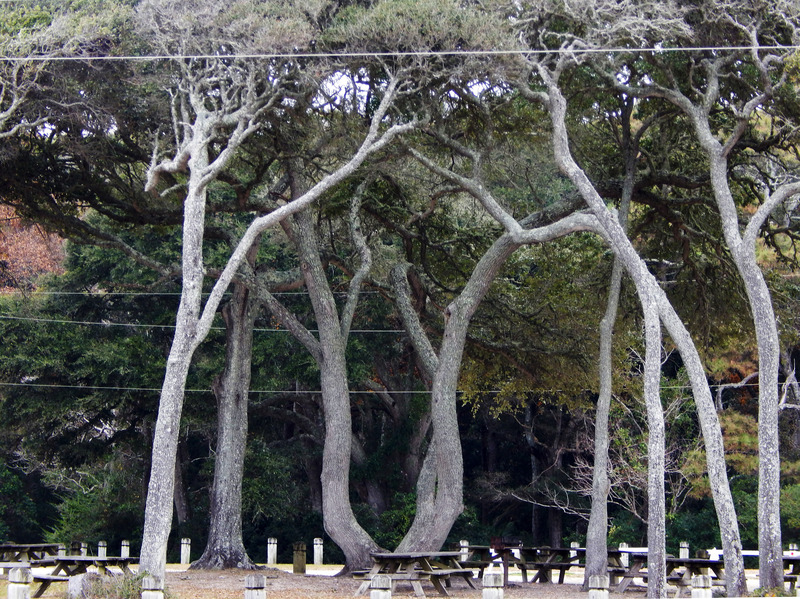 I will be visiting Myrtle Beach for the first time March 4-9, 2015 is there anything that is a Must See? Yes!!! I’m in a bit of rush but I will list some things for you tomorrow!